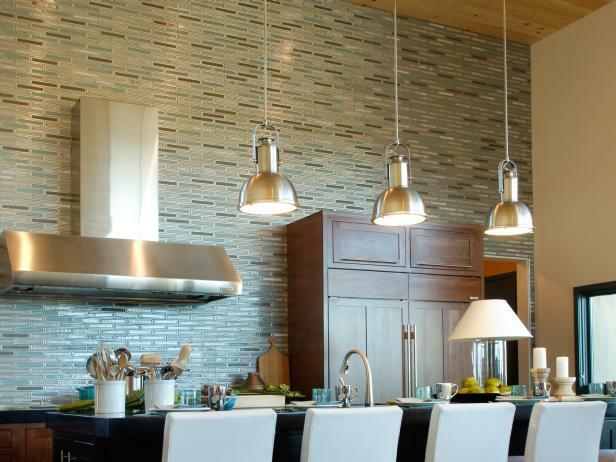 Whether you're getting ready to install a brand new tile backsplash or just want to update your current backsplash, you'll first want to explore as many kitchen tile backsplash ideas as possible. 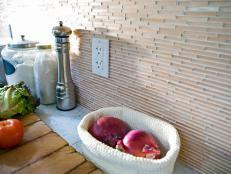 One of the great benefits of a tile backsplash—setting aside the fact that it'll protect your kitchen's walls from unsightly, unsanitary food spatter—is that it can add great aesthetic appeal, visual diversity and color to your kitchen design. The tile backsplash in a kitchen—especially one that features an otherwise understated, contemporary design—is often a great place to experiment with bold designs, patterns and colors. 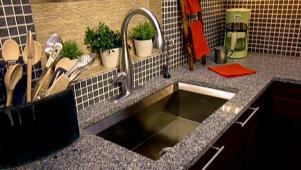 Additionally, many homeowners find that a tile backsplash is exceptionally easy to clean—an essential feature if the kitchen in your home is an active one where plenty of meals are prepared. Many tile backsplashes will wipe clean with a rag and some cleaning spray after meal preparation has left them laden with splashes and other cooking spatter. On top of its ease of use and utility, tile is also highly customizable, making it an attractive backsplash option for anyone looking to mirror an existing kitchen design or add visual interest via a backsplash. 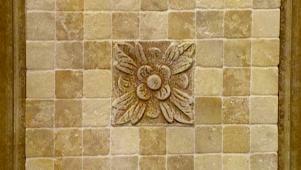 Various tile materials are available in an almost endless array of styles, colors, shapes and sizes. 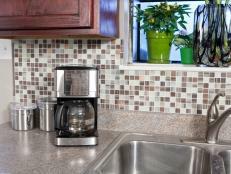 Tile materials can be purchased at just about any home improvement store, online or in-store. If you can't find what you're looking for at the local home improvement store, many tile specialty retailers are available online or, most likely, in your area. Whichever style of tile you choose for your backsplash, you shouldn't have any trouble finding it close by or via the Internet. 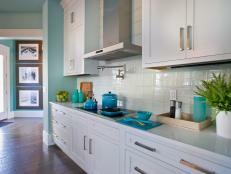 Some common styles have become popular choices because of their wide availability and visual appeal. 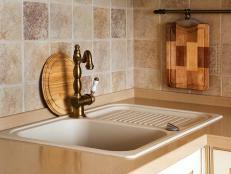 Subway tile is a classic choice that can be found in many commercial and residential kitchens. Subway tile's straightforward style is defined by rectangular ceramic tiles (usually in white or light colors) paired with light grout. 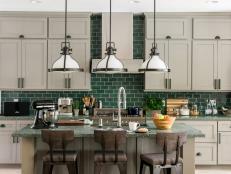 This understated color scheme is popular, but a wide variety of colors can suit your kitchen design, and the rectangular tile allows for many pattern choices, as well. Mosaic tile is another popular tile backsplash choice, especially for anyone interested in adding some visual interest to their kitchen. 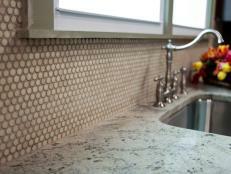 Often made of glass, ceramic or stone, these small tiles stick to a mesh backing and are arrayed in a diverse pattern. The mesh backing means homeowners don't need to worry as much about cutting the tiles, which makes mosaics a popular choice among DIY-ers looking for a simple, attractive and easy-to-install option. 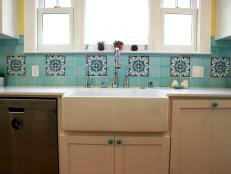 Last, but not least, penny tile is a popular choice for anyone with an eye for vintage styles. Often featuring small, light-colored tiles surrounded by dark grout, this style recalls bygone eras and lends an air of classic elegance to any kitchen design. Quiz: What's Your Cat Personality? 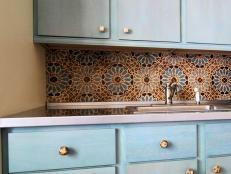 Here are backsplash solutions to free you from kitchen renovation doldrums. 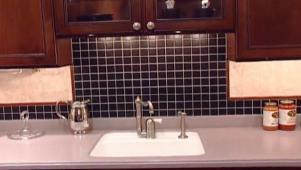 Here are the top trends in backsplashes that have the design pros buzzing. 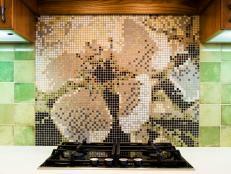 Make a big design statement in your kitchen with a new backsplash. 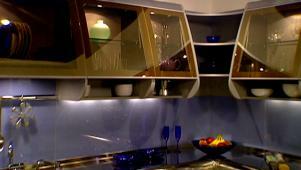 Explore glass backsplash ideas, and prepare to install a bright and beautiful backsplash in your kitchen. 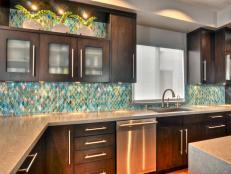 Easy to clean and simple in design, glass tile backsplashes can be the ideal option for a busy chef. Get info and ideas for ceramic tile kitchen backsplashes, and get ready to install an eye-catching and efficient backsplash.